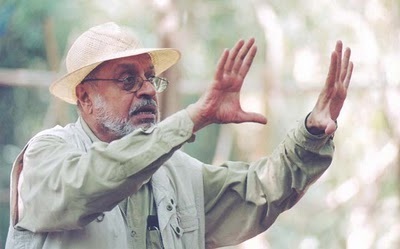 New Delhi: Government of India, obviously with the intervention of Prime Minister Modi to streamline the working of the Central Board of Film Certification, has constituted a Committee headed by renowned film personality Shyam Benegal for Holistic interpretation of the provisions of the Cinematograph Act and Rules. The Board of film certification recently came under attack following the cuts imposed on long kisses between Spectre’s lead actors Daniel Craig and Monica Bellucci. Specte is the twenty-fourth James Bond film produced by Eon Productions. It is the direct sequel to the 2012 film Skyfall. The Board is also in the line of fire for clearing so many films made in India completely ignoring the extreme vulgarity, double meaning dialogues and projection of women in poor light. An official statement released today said that in most countries of the world there is a mechanism or process of certifying feature films and documentaries. However it has to be ensured that in doing so, artistic creativity and freedom do not get stifled or curtailed and the people tasked with the work of certification understand these nuances. Keeping this in view and in sync with the vision of the Prime Minister, a committee headed by Shyam Benegal has been constituted to suggest the paradigm to compliment the glorious history of Indian films. The recommendations of this Committee are expected to provide a holistic framework and enable those tasked with the work of certification of films to discharge their responsibilities keeping in view this framework. Besides Mr. Benegal, the other Members of the Committee are Rakeysh Omprakash Mehra, Piyush Pandey, Bhawana Somaaya, Nina Lath Gupta and Joint Secretary (Films) as Member Convenor. The Committee has been given a two-month deadline to submit recommendations.